The initial stage of any printing process (excluding the digital process) is called ‘Make-Ready’. This is a very delicate moment, as it represents the verification of the calibration of the entire printing process through the analysis of the first sheets that are printed, in order to make the necessary corrections before the run. Some of the main checks that are carried out in this phase are: the input register, the uniformity on the background, the dot gain, the grip of the pliers, the density parameters, the type of ink used and its drying time. Let’s see some. With the input register one tries to obtain from the printing press the perfect overlap of a printed image twice by carrying out two passages of the sheet. 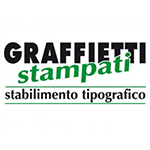 The uniformity on the bottom reveals if the inking values ​​are uniform and homogeneous on the solid bottoms. The dot gain refers to the dimensional variation that the screen dot undergoes, by means of the pressure exerted on it, during its transfer from the film to the printing plate. The increase of the point is one of the factors that most determine the color variations in print. In fact, if the “dot gain” of the four-color colors were the same for each of them, the image would not lose its color balance; but if one of the colors presents a crushing of the point different from the others, the image would acquire a color cast by breaking the color balance. The clamps are special clamps, attached to the printing cylinders, which hold the sheet to be printed until an impression has occurred. They must be regularly registered and kept in good condition. The task of the press is to achieve a sort of optimal balance between all the components that are part of it. The final goal of the printer is to bring its printing press in the best conditions to operate at its maximum level of production efficiency and quality.